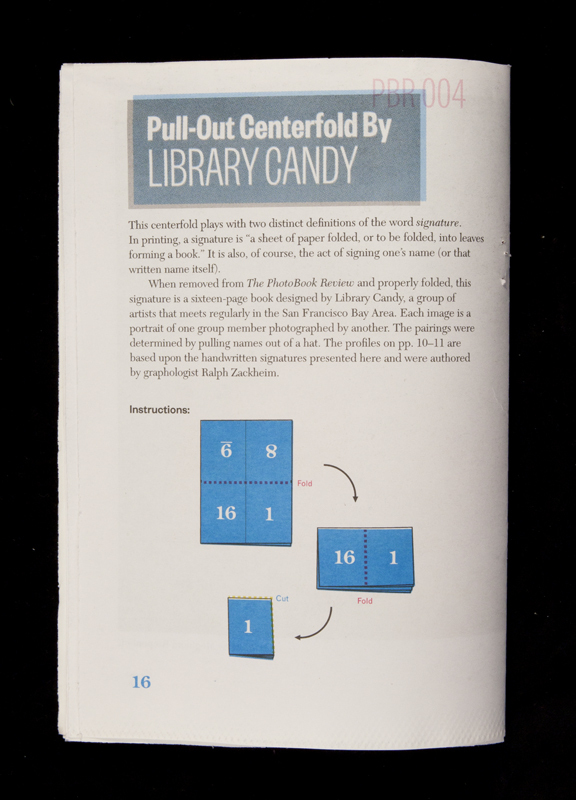 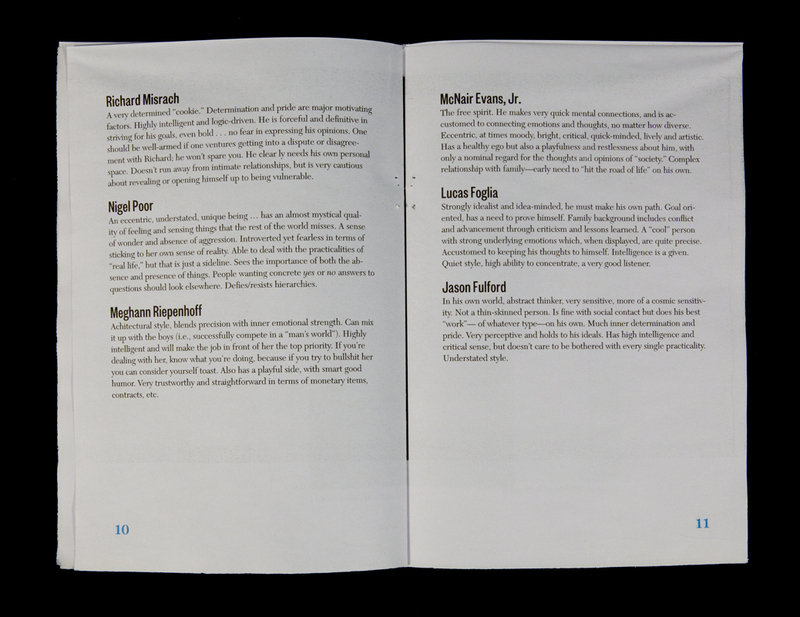 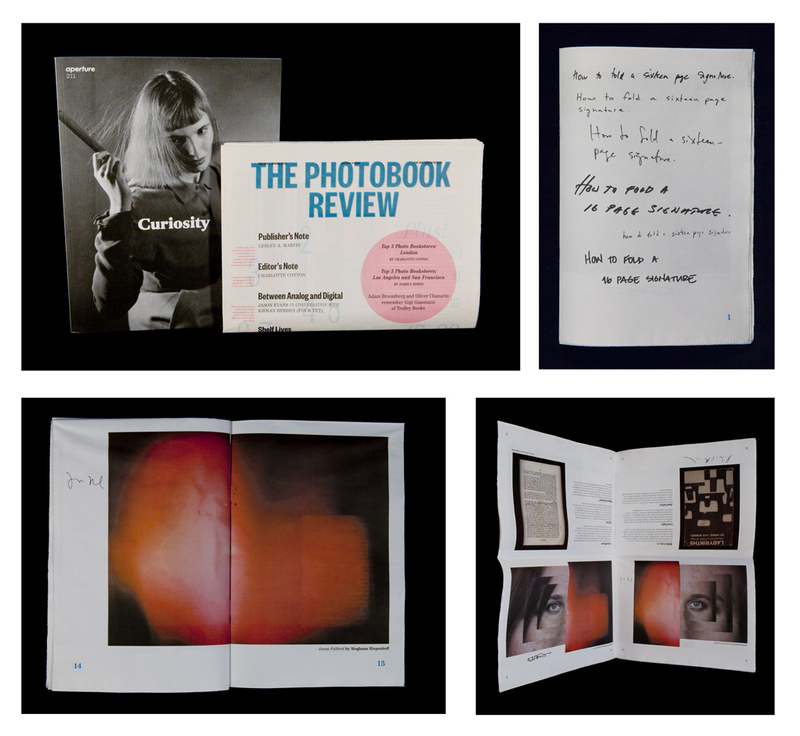 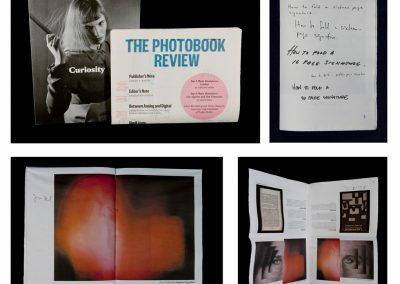 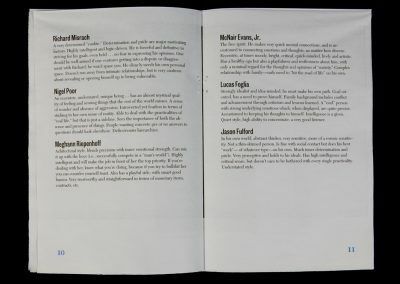 Aperture Magazine’s PhotoBook Review features a pull-out centerfold by Library Candy, a group made up of myself, McNair Evans, Lucas Foglia, Jason Fulford, Richard Misrach, and Nigel Poor. 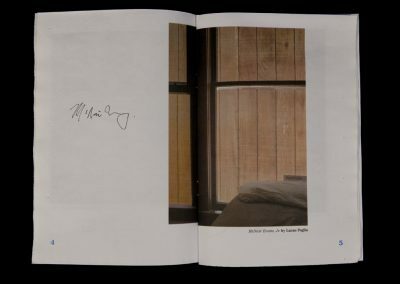 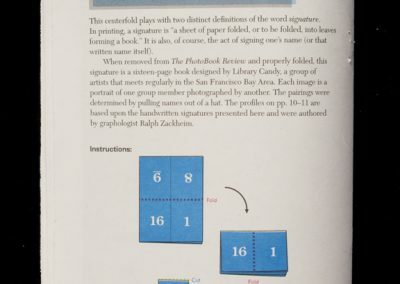 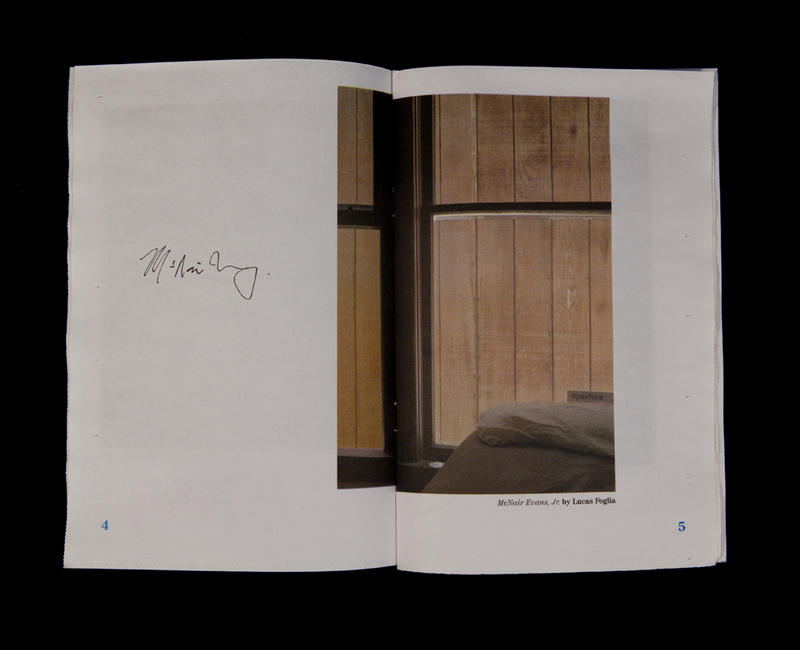 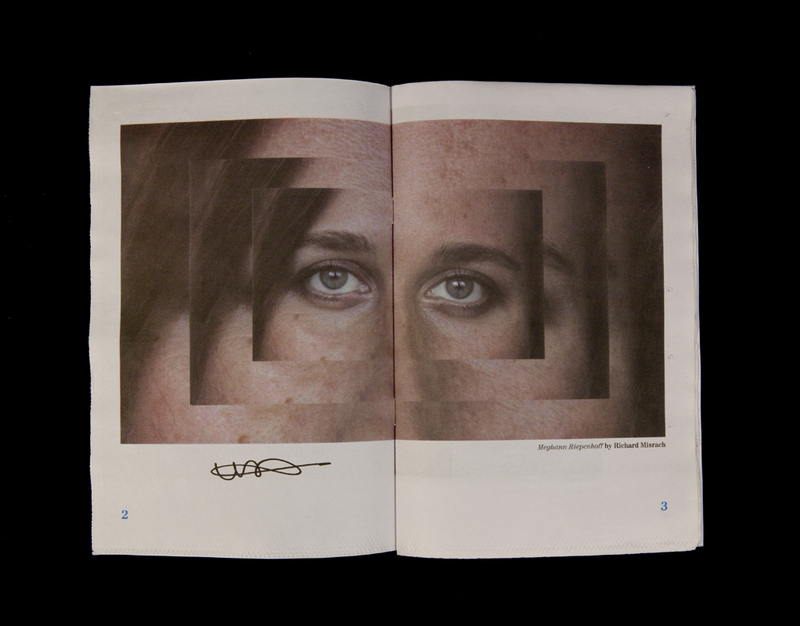 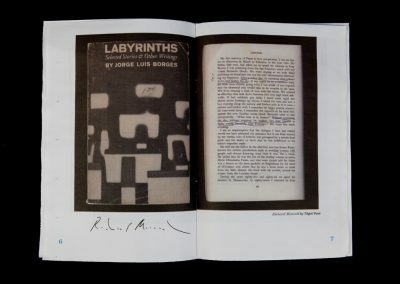 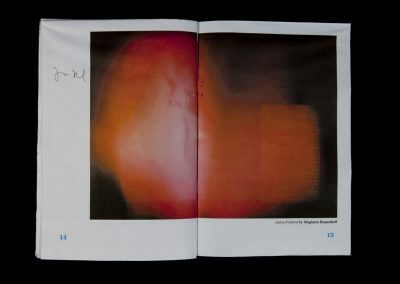 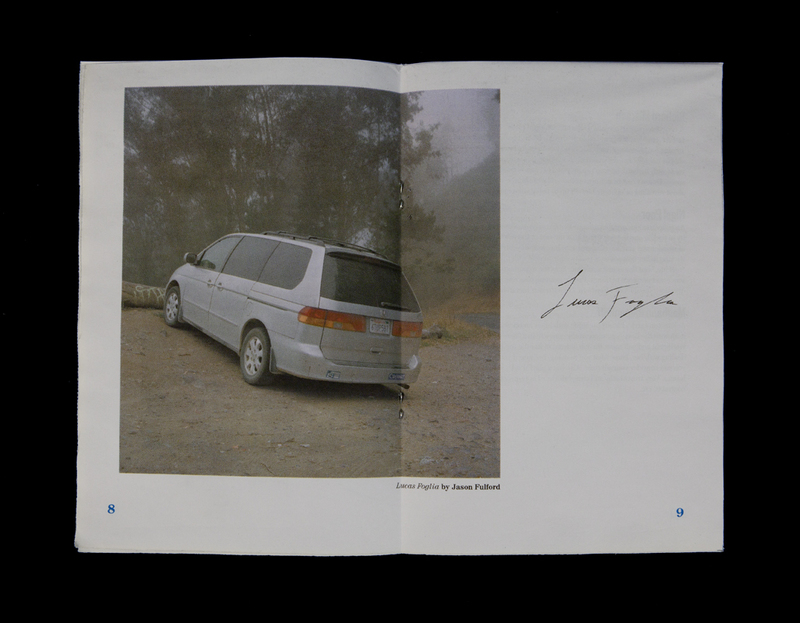 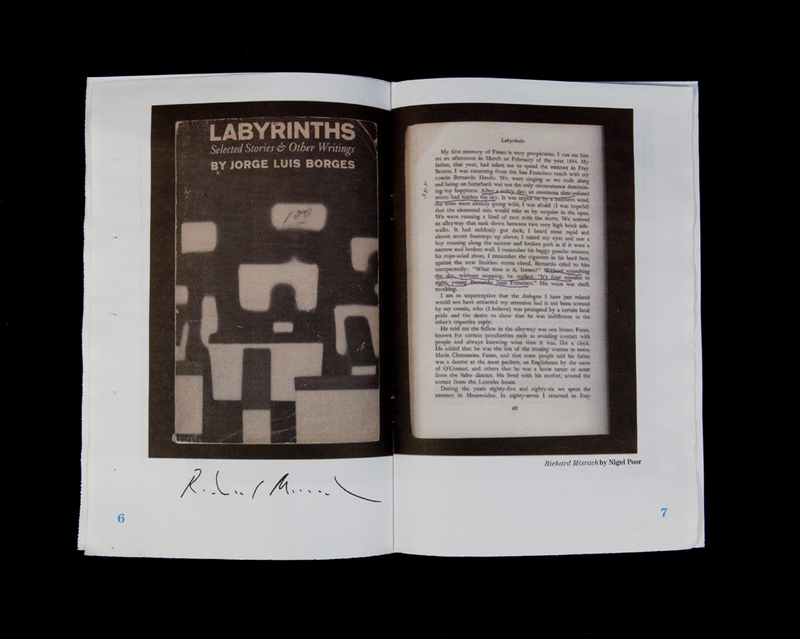 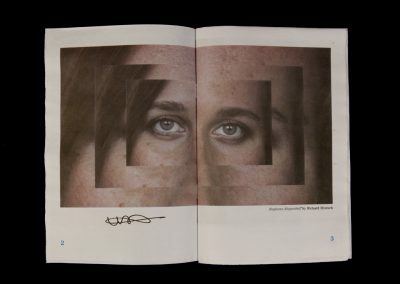 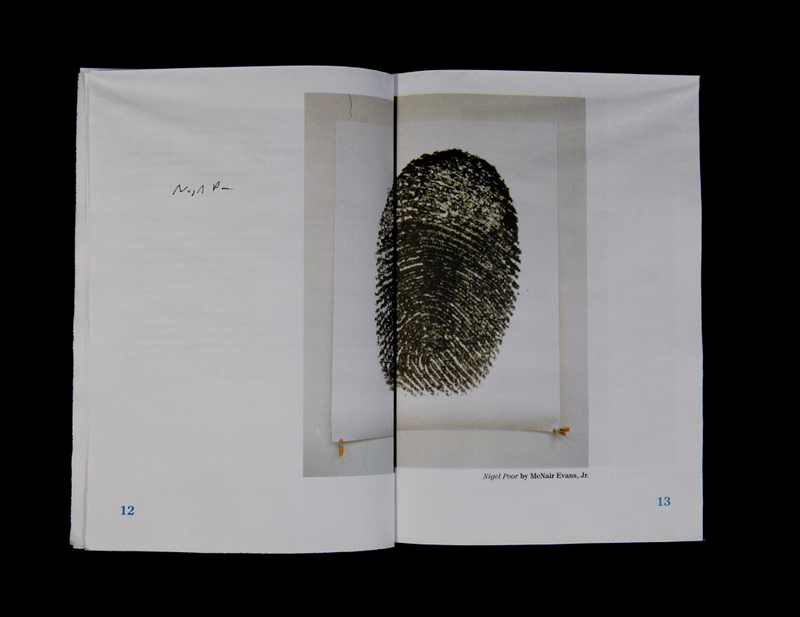 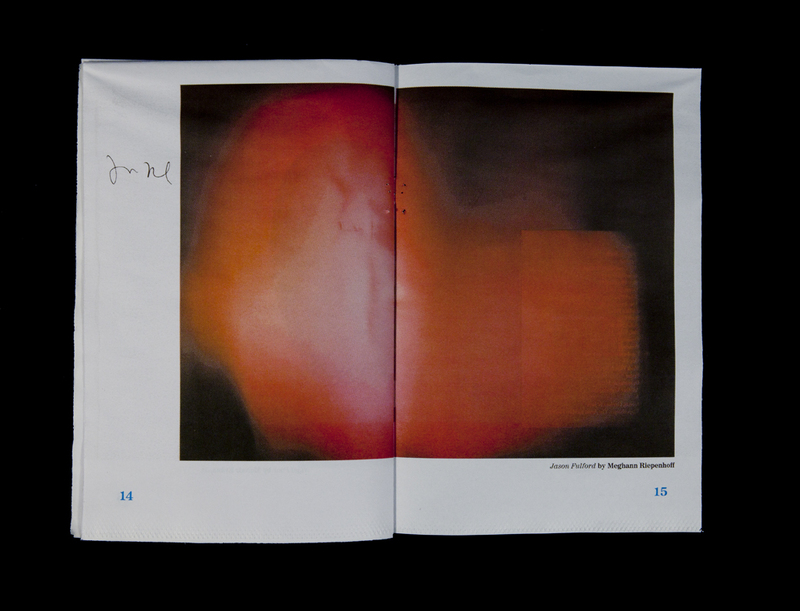 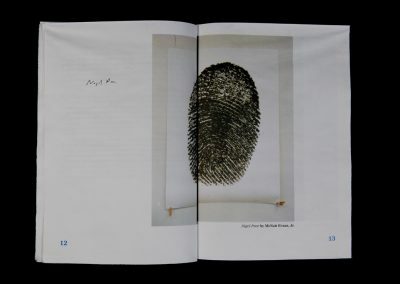 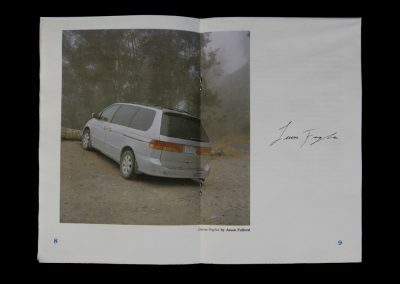 The piece reads: “The centerfold plays with two distinct definitions of the word signature. 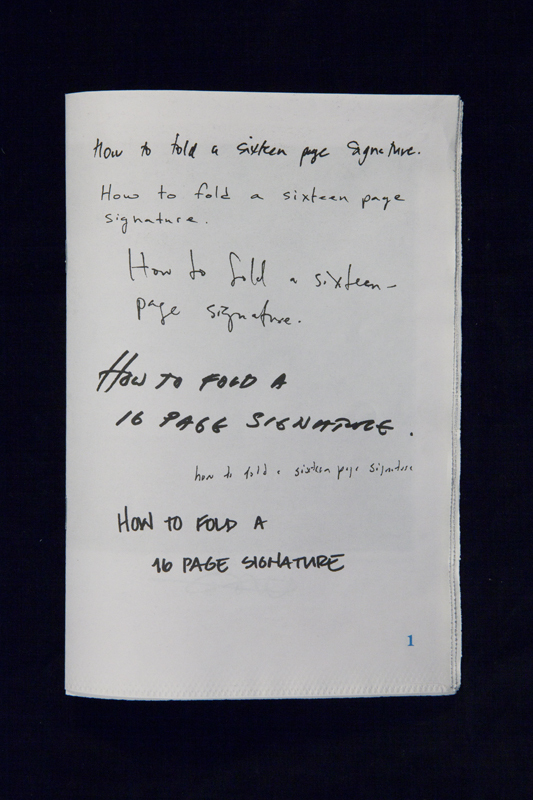 In printing, a signature is “a sheet of paper folded, or to be folded into leaves forming a book. 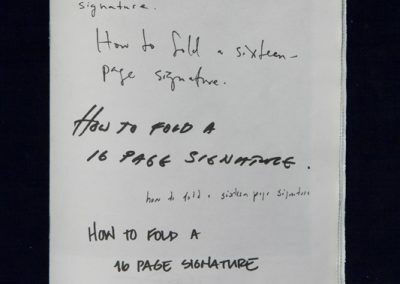 It is also, of course, the act of signing one’s name (or that written name itself). 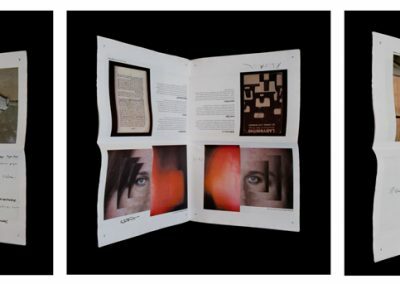 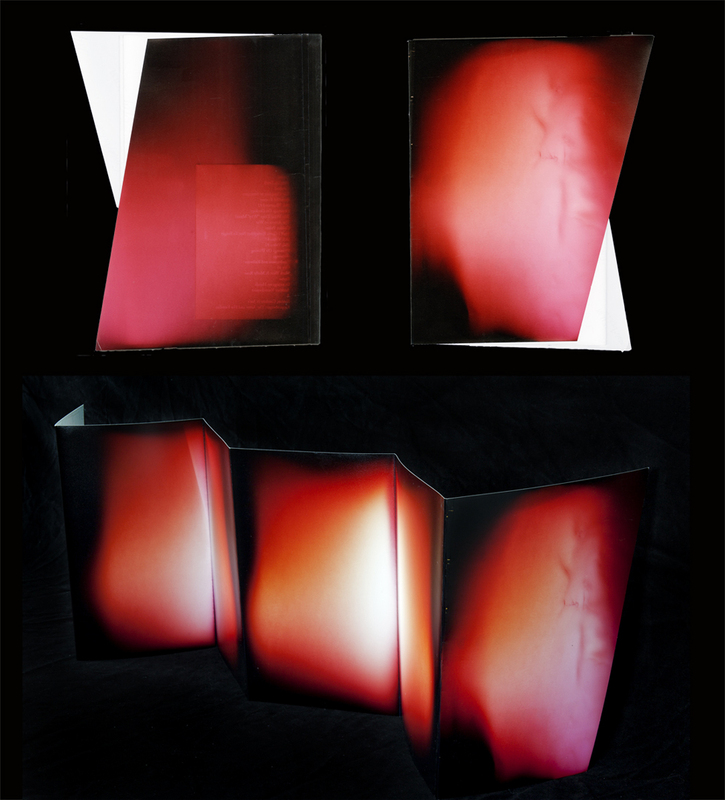 My image contribution is a unique chromogenic photogram book. 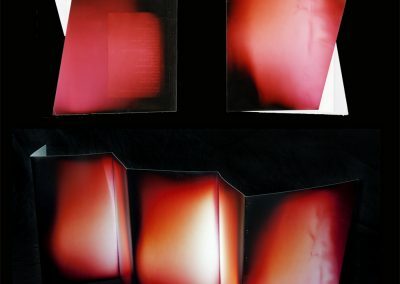 The book was made in the storage closet of Jason Fulford’s J&L Books, whose list of published works I photogrammed with light leaks from the door.